Principal Guest Conductor of the BBC Philharmonic Orchestra as well as the National Arts Centre Orchestra, John Storgårds has a dual career as a conductor and violin virtuoso and is widely recognized for his creative flair for programming. He additionally holds the title of Artistic Director of the Lapland Chamber Orchestra (LCO). Highlights of his 2017–18 season include debuts with the Chicago Symphony, the Vienna Radio Symphony Orchestra and the London Philharmonic Orchestra, as well as the world premiere of Sebastian Fagerlund’s new opera Höstsonaten (Autumn Sonata) at the Finnish National Opera with Anne Sofie von Otter in the leading role of Charlotte. For the NAC’s Ideas of North Festival, he conducts the NAC Orchestra’s Finnish Legends concert, performs the Saariaho Violin Concerto, and leads the North American debut of his LCO. 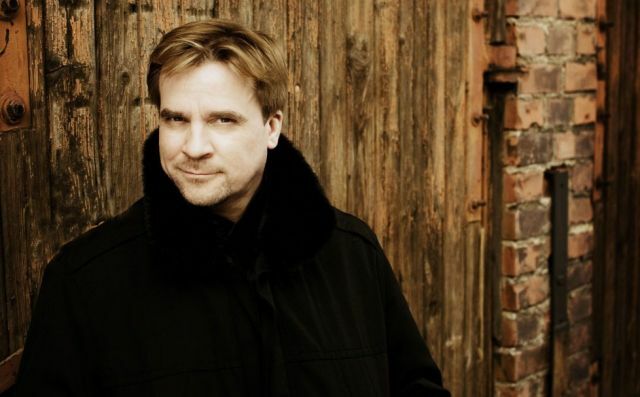 In addition, he is the Artistic Director of the Orchestre symphonique de Montréal’s Nordic Spring Festival. John Storgårds’s award-winning discography includes recordings of not only works by Schumann, Mozart, Beethoven and Haydn, but also rarities by Holmboe and Vask, which feature him as violin soloist. His recording with the LCO of concertos for theremin and horn by Kalevi Aho received the distinguished ECHO Klassik award in 2015.